Fully heal your Crohn’s and Colitis diseases. It may seem surprising to learn how knowing the origin of your colitis condition will individualize your treatment approach. For this reason in my book ‘Reverse Gut Diseases Naturally’ contains a wide range of safe, natural solutions that are geared to specific causes and symptoms for Crohn’s, colitis and other gut dysbiosis complaints. You will learn my entire system for healing and disease reversal for Crohn’s disease and colitis. You can start to feel better in one day following the treatment programs in my new book ‘Reverse Gut Diseases Naturally’. Learn about how to rebuild your body and make it disease resistant. So much more is possible than the average person would have any idea about. I am constantly amazed by how quickly the body can heal and restore itself when properly supported. When diagnosing the causes of mainstream gut disorders like Crohn’s, Colitis, IBD and IBS diseases, many of these and similar conditions have a common thread between them. The condition that stands most alone or has more of a precise cause is Celiac disease involving the protein gluten which creates antibodies that can be diagnosed in a blood test. However Gluten plays a major role in all other gut disorders even though it may not be an inherent weakness, as most often seen with the cause of Celiac disease. 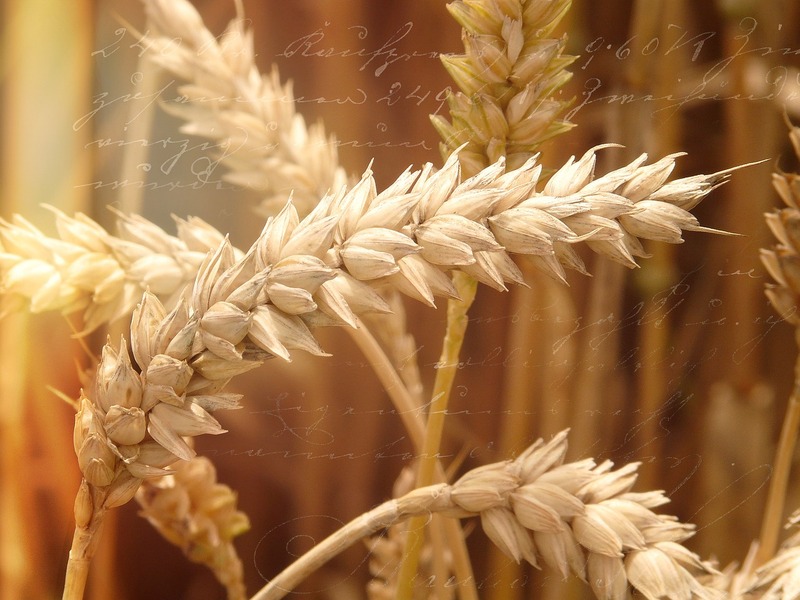 More recently Amylopectin may be another cause relating to Celiac disease. Antibiotics have topped the list for the number one cause for several years now – in excess of fifteen years. Canada ranks # 1 in the world, with the US and UK close behind. Antiobiotics are akin to napalming all the bacteria in your body. The destruction of our good bacteria which happens to be a large part of our immune system precipitates leaky gut and inflammation throughout the intestinal tract. The balance of gut and body microbial must be rebalanced in order for a full reversal process to occur. 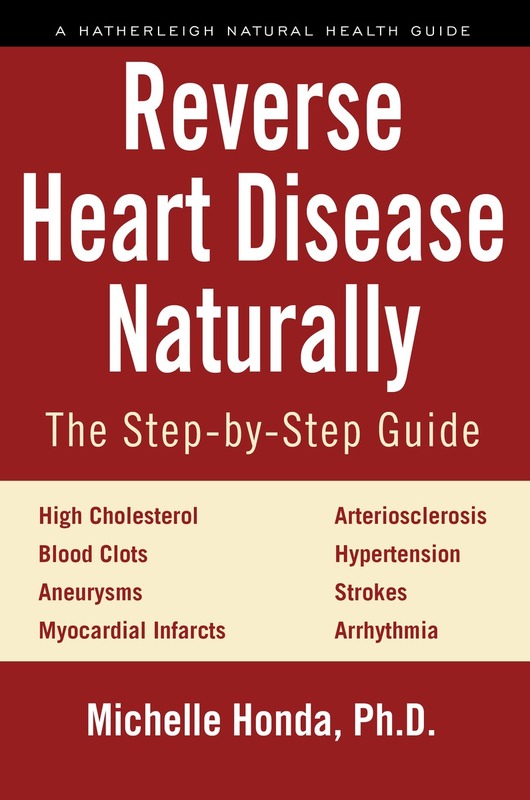 In my book ‘Reverse Gut Diseases Naturally’ (RGDN) you will learn about the best and safest, natural replacements for antibiotics that actually work on superbugs, whereas antibiotics do not. The application for safe antibiotic replacements far exceeds its use in intestinal disorders. This information is needed by the whole family, friends and those you care about. In addition, detailed information on Probiotics and how to remedy yeast overgrowth (Candida). Excess proliferation of yeast and microbial populations contribute to the continuance of gut disorders. Prescription and over the counter drugs are the second most prevalent cause when it comes to Inflammatory Bowel disorders such as Crohn’ and Colitis, as well as for inflammation and some symptoms of IBS. 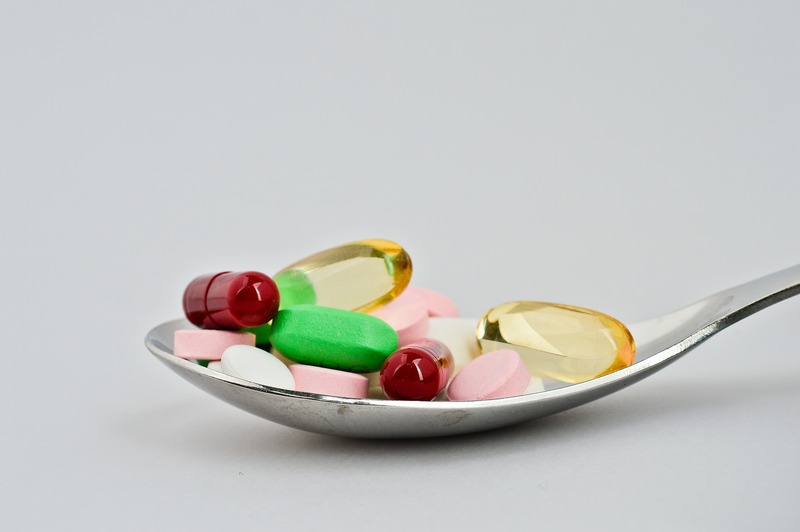 Certain medications cause a great deal of inflammation throughout the entire gastrointestinal tract and the stomach. Anti-inflammatory and pain medications top the list for causing inflammation which is also strongly associated with leaky gut syndrome. Antacids are another common culprit. Number 3 cause could be more viewed as a consequence of the first two causes. Dietary components and Environmental toxins are direct causes and symptom triggers when they venture into areas of the body where they should never be found – resulting in an auto immune response condition. This scenario applies to all gut dysbiosis conditions. Gluten and certain dairy products are the most common triggers in the diet promoting gas, bloating and diarrhea. Gluten is a small protein that finds its way into the blood stream when the intestinal tract becomes permeable (leaky). Protein is never suppose to be found in the blood hence the brain makes a blueprint of it like other offenders and responds quickly to remove the intruder. This of course will induce diarrhea which can reach the chronic stage if dietary substances are not removed until such a time that the body (brain) does not deem it as dangerous. It takes a long time to trick the brain. In ‘Reverse Gut Diseases Naturally’ you will fine great explanation about the brain and gluten connection and protocols to reach a safe stage where it may start to be safely consumed once again, if it is not an inherent weakness as noted with Celiac patients. Another important area to look at in the book is the Gluten and Thyroid connection. Number 4 is something that I initially stumbled upon since I had no academic reference at the time showing that a chronic condition such as Crohn’s could develop so rapidly from Emotional Distress. I have come to learn that severe heart ache/pain can affect the gut so greatly that a condition such as Crohn’s disease can occur almost overnight. This was the case for my first experience of such an occurrence. Therefore, when seeking out the cause of your condition that does not seem to be drug or diet related, look to any bouts of stress involving extreme heart ache occurring shortly prior to or several months after a stressful incident. Examples could include grief from death, infidelity, great financial loss – almost anything that creates prolonged fear or worry. Our gut responds immediately to our emotions, which happens to be a main trigger for those who suffer with Irritable Bowel Syndrome (IBS). Number 5 involves physical causes. I have noticed injuries to be the most common when it comes to Colitis. If your gut disorder has progressed over time without any of the above suggestions seemingly to apply, think back to some incident of a fall where there has been tale bone injury. Ice skaters, falling on the ice or very hard surface, falling off a swing and sports related injuries are among the most common I have seen. In my book R.G.D.N. you will discover individual disease dietary protocols with natural remedies and solutions for a successful, full reversal process to occur for all mainstream intestinal complaints. Examples include, Crohn’s, Ulcerative colitis, Colitis, IBS, IBD, Diverticulitis, Celiac, Constipation, Fistulas, Abscesses and more…You will learn how to stop breaking the body down while simultaneously empowering it to heal – all the while addressing the body as a whole. As well as all associated symptom complaints for depression, anxiety, diarrhea, bleeding, correcting malnutrition, inflammation and pain. By increasing the quality and level of nutrition the immune system boosts, promoting far more rapid tissue repair. As your symptoms fade away the need for medications also go away. You are now on your way to a full sustainable recovery. This may well be the first time you feel in control of your life and your health – just as it should be. 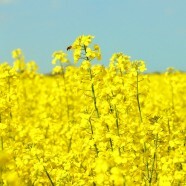 *For more on Crohn’s, Colitis Diet and Treatment view these posts. If you want an alternative approach that really works, pick up a copy of Reverse Gut Diseases Naturally. This may seem hard to believe but you will be able to achieve the same results at home as if you saw Michelle Honda as a patient. 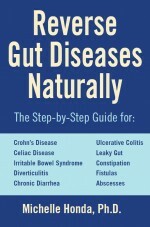 This book truly is a hand holding “step by step’ guide that covers all contributing symptoms of Colitis and other mainstream gut disorders. Check out frequently asked questions on her book and programs; all very helpful when considering purchasing the book or working with Michelle Honda directly. If you desire or prefer a personal touch when seeking professional guidance, you may book appointments for Michelle Honda through the office or by telephone. Contact the clinic Renew You (905-304-0111). Appointments by telephone are also available. You can heal Colitis and Crohn’s disease, reduce your pain and lessen flare ups in San Diego, Vancouver, Lagos, Karachi or Quezon City with “Reverse Gut Diseases Naturally”. Just get the book and start the program. A far more normal life awaits you again.